About Bruno Mars: Bruno's Funky Fourth of July! 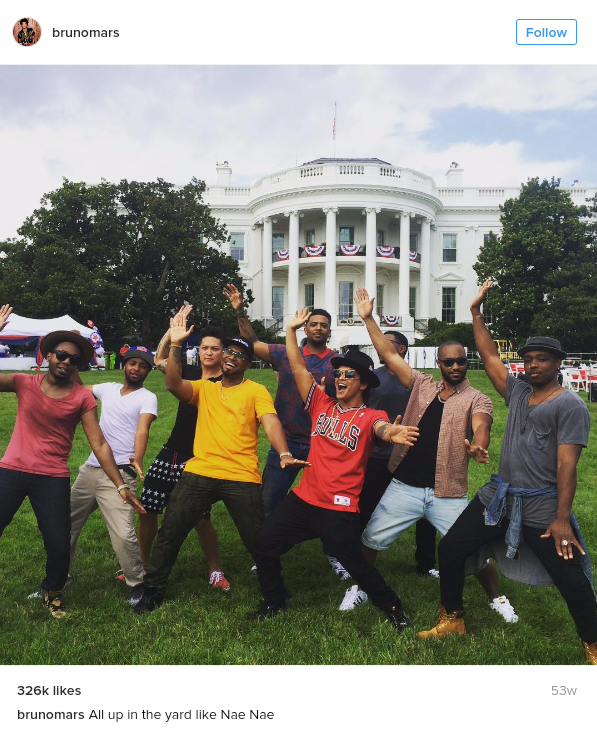 Bruno's Funky Fourth of July! 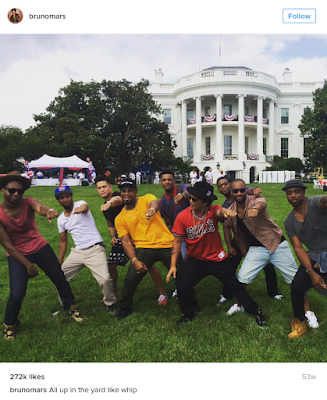 Well, Hooligans, another year, another July Fourth! Anyone know what this blog's namesake is doing this Fourth of July? Well, me neither! Bruno's been as quiet as a mouse for the whole of the month thus far! That is, if we're not counting that lovely (not!) 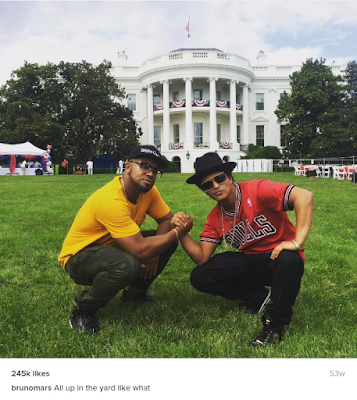 cryptic Tweet on July 2nd that has the entire Hooligan world asking " 'Just know WHAT??! ' 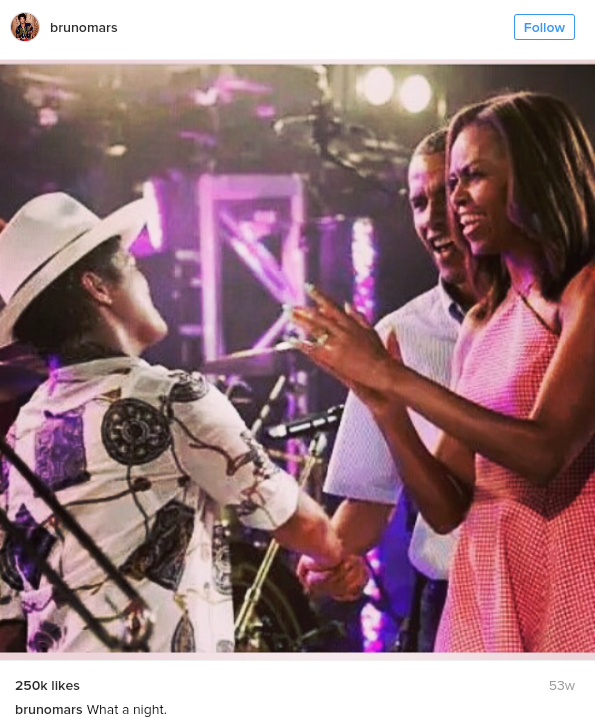 " (https://twitter.com/BrunoMars/status/749219817450663938) ... <ahem> ... (sorry!) Please, Bruno, no more encoded tweets, hmm? You're killin' us here! "All up in the yard like what"
"All up in the yard like whip"
"All up in the yard like Nae Nae"
That's right. hooligans! Last year, Bruno was invited to The White House to perform his first ever USO sponsored concert!! IKR?! Is that funking amazing (just the way it is) or what? Needless to say, the night was a complete success! ... Duh! 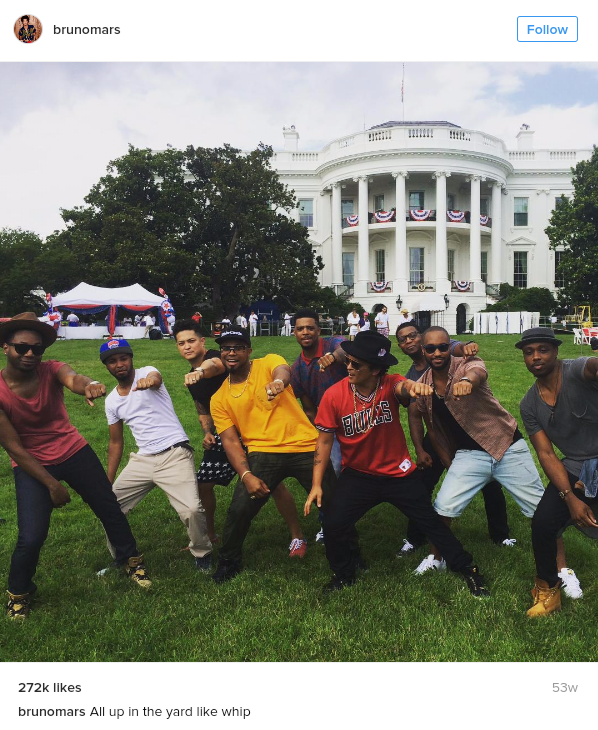 "It was an honor to perform at the Fourth of July concert at the White House. It was incredible to stand with the First Family and the USO to recognize the service and sacrifice of our troops and military families."